“I acknowledged at the outset that my music was for a niche audience,” he quips. Although there might’ve been no doubt about that a year ago, it’s ironic coming from a man who recently released his sophomore album at a highly ambitious launch with 15,000 fans. Jam-packed and practically overflowing, the NSCI stadium in Mumbai saw Udyan Sagar revel in the culmination of years of hard work and experimentation. 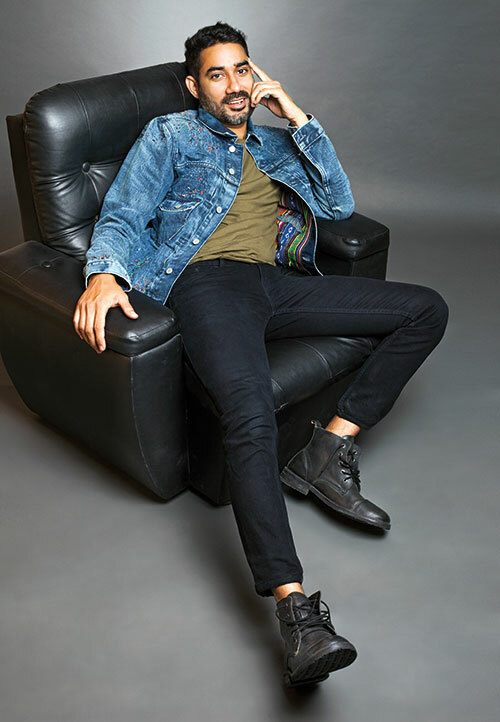 The Delhi-based producer has been building a fiercely loyal fan base ever since he introduced his stage persona Nucleya, along with his Koocha Monster EP in 2013; but it wasn’t until the wonderfully unique launch of his first album Bass Rani that he achieved viral status. With a string of quirky videos and social media plugs leading up to the event, Sagar brought together an impressive group of indie artistes to put on a power-packed performance atop a truck at a Ganapati visarjan in Mumbai. From that moment on, it was a snowball effect. Today, he plays mega gigs on home turf and abroad, performing at music festivals like Glastonbury and Edinburgh Fringe Festival while producing hit songs for Bollywood. Merchandise is in high demand, and fans go so far as to get his signature phrases and album art tattooed for life. Undoubtedly, Nucleya is an unstoppable phenomena and his time is now. People sometimes mistake you for being a newcomer, when in reality you’ve been around since the ’90s. What has the journey been like? “Well, it’s getting hard for me to move out of the house, to be honest! I never imagined this would ever happen to me. I was on a flight from Jaipur to Kolkata and after I walked onto the airplane, people started playing my music from their phones and Bluetooth speakers…it was surreal. What do you love about the music industry and what do you wish you could change? How does it feel to know that you’re inspiring so many types of people? What’s on your bucket list for 2017?